Santastic is a new Christmas themed video slot found at RTG online casinos. 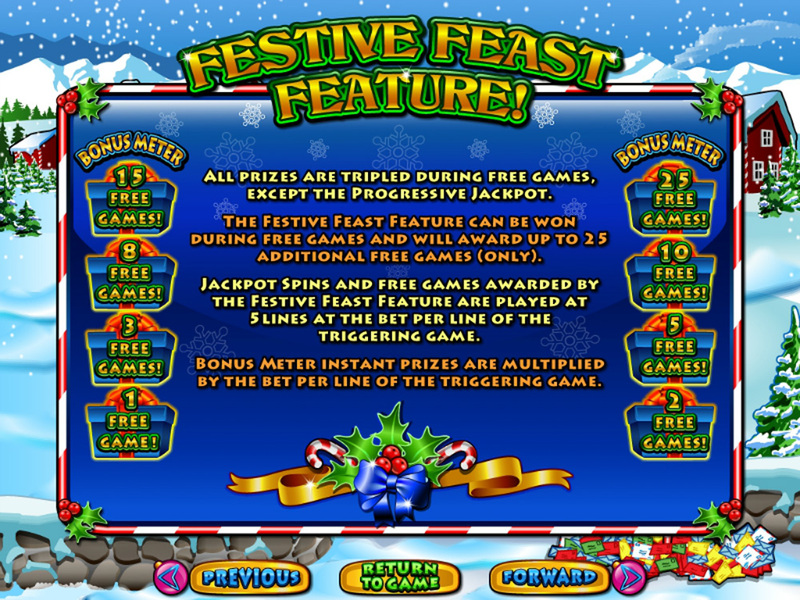 Designed and developed by Real Time Gaming (RTG), this seasonal release is sure to get certain gamers in the mood, and to be fair, it is actually a rather well packed slot, with quite a few special features worth playing for, unlike some other Christmas themed titles. Like many other Christmas slots, this RTG title contains a wealth of rather generic Christmas symbols, such as candy canes, snowmen, reindeer, the “north pole”, a Christmas tree, and of course, Santa. 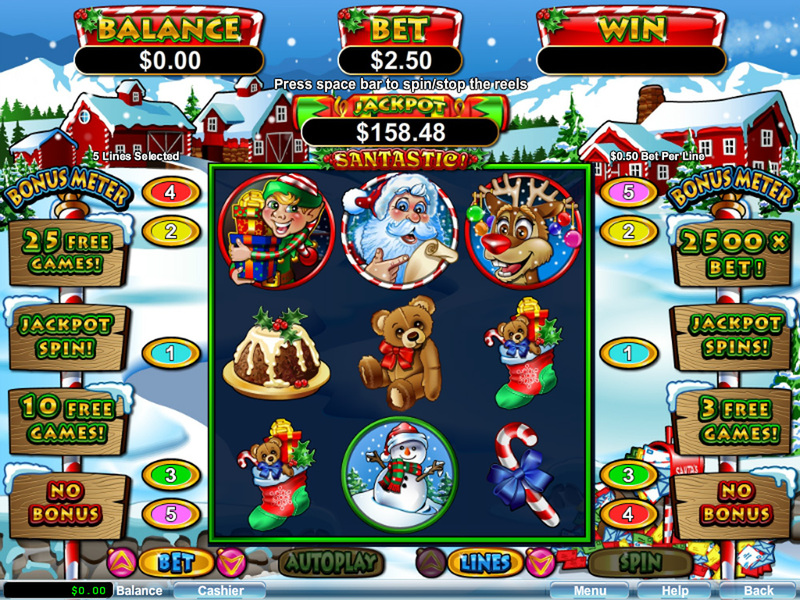 Santa is the best paying of the standard symbols in this slot, and it is worth a total of 100x your bet per line if 3 of them are struck on any active payline. 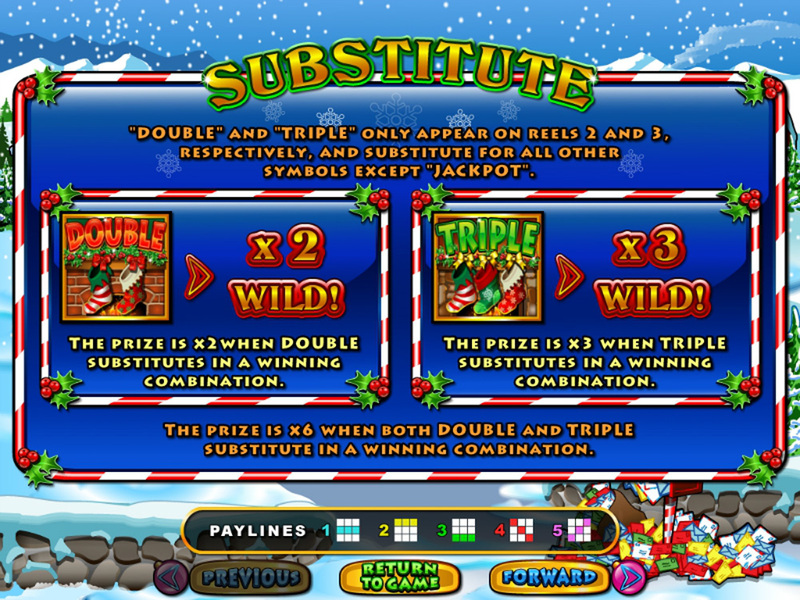 In order to construct a wager on this unique 3 reeled video slot, players must first choose their coin denominations. They range from 10¢ up to $5 per coin, and you can only stake one of these per line. You are however, at liberty to adjust the paylines as you see fit, and this means that the game can be played for as little as just 10¢ per line, per spin. At its most expensive, the slot will set players back a total of $25 per spin, for all paylines at the max wager. 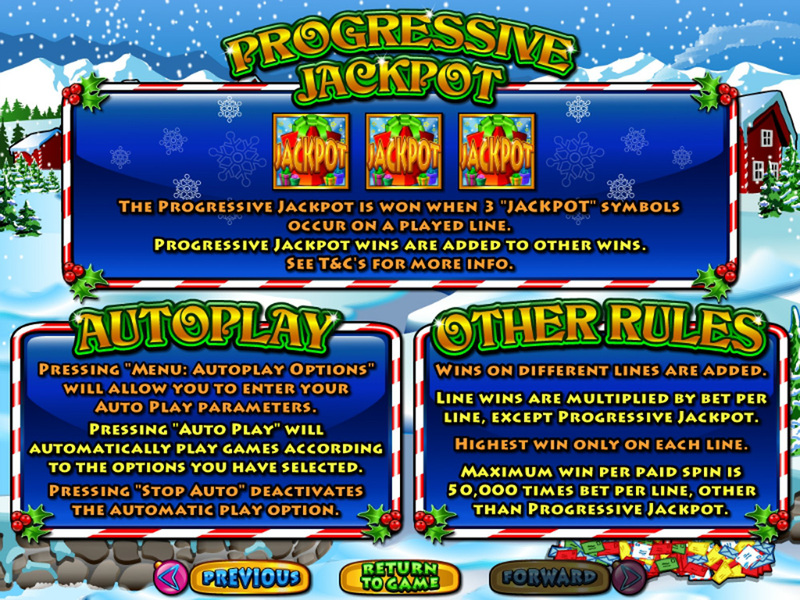 The Progressive Jackpot is a relatively small amount in terms of progressives, but that’s because it is quite easy to win and it is awarded often. 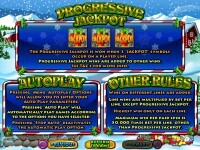 The progressive is won if three jackpot symbols line up on an active payline, and those symbols are stacked during Jackpot Spins. 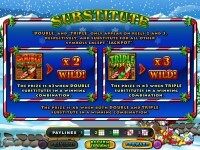 Play it now at Club World Casino! 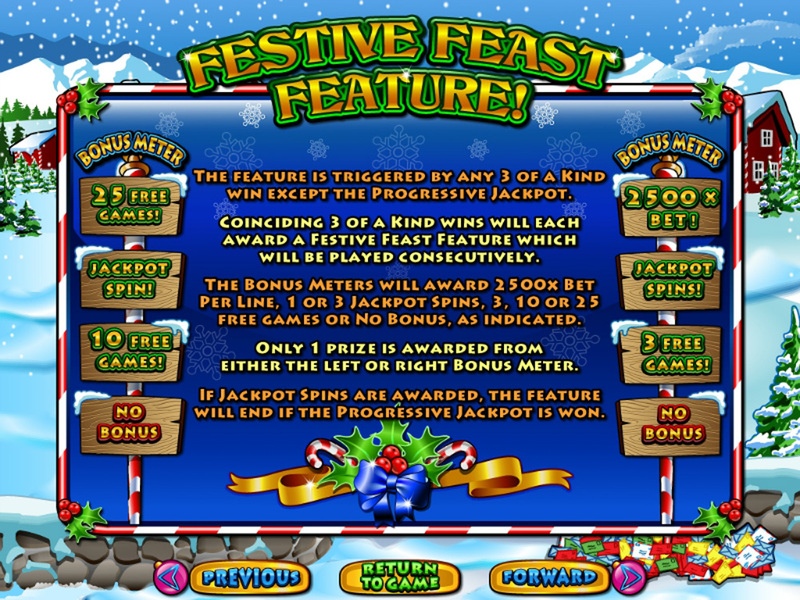 The Festive Feast Feature is triggered every time three symbols, other than the jackpot symbols, line up on an active payline. 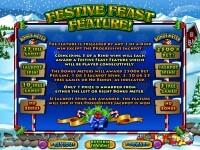 You are awarded one of the prizes on the bonus meters which are located on both sides of the reels. 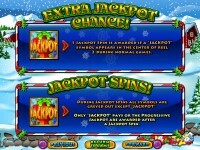 These prizes include: 2500x bet, jackpot spins, a single jackpot spin, 3, 10, or 25 free games, and no bonus. Unfortunately there are two of those “no bonus” prizes and it seems to land on one of them more often than not. The wild symbols are only found on reels 2 and 3, the one on reel two is x2 and the one on reel three is x3. If both icons line up, the resulting win pays x6. 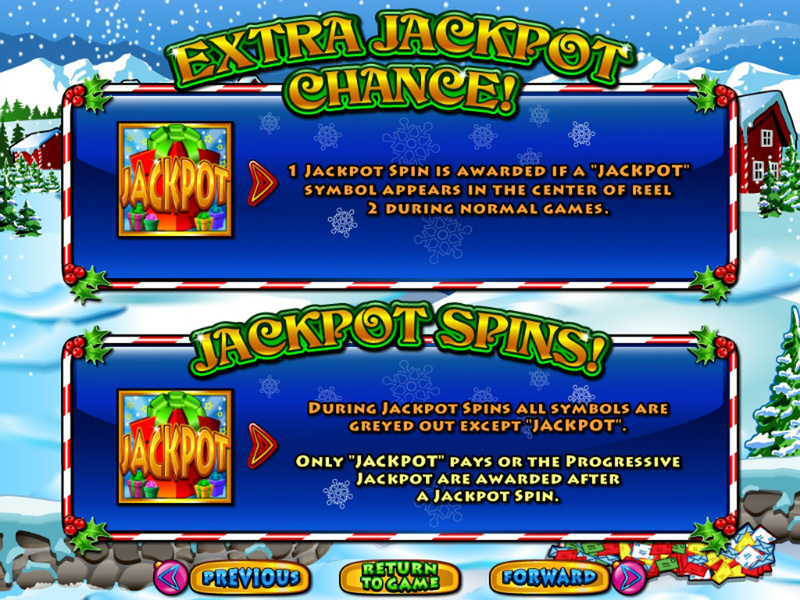 The wild symbols will substitute for all others except for the jackpot symbol. I have enjoyed playing this unique Christmas themed slot, and I’m sure many others will too. Be careful though, I’ve found that it can be quite addicting even when it was draining my bankroll faster than a Vegas stripper. You can find this new slot at any of these trusted RTG Casinos.